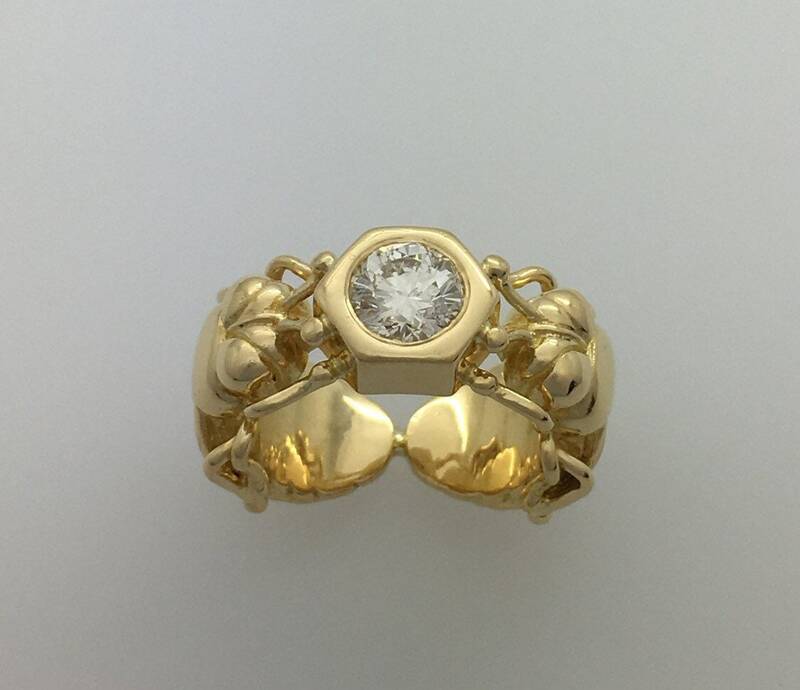 Diamond Set Bee Ring - 18ct. 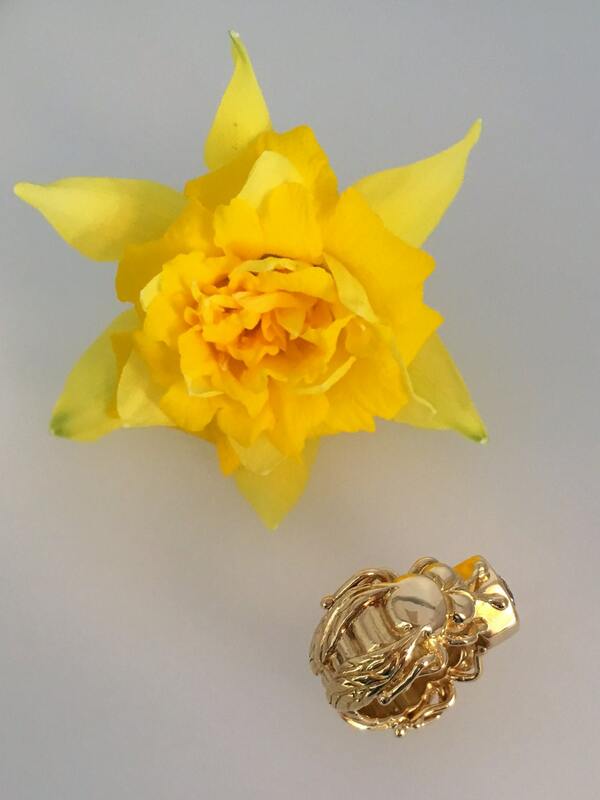 Yellow Gold - Exceptional Handmade Douglas Hughes Design. A mesmerising design that transcends time - truly one of a kind that is in a class by itself. 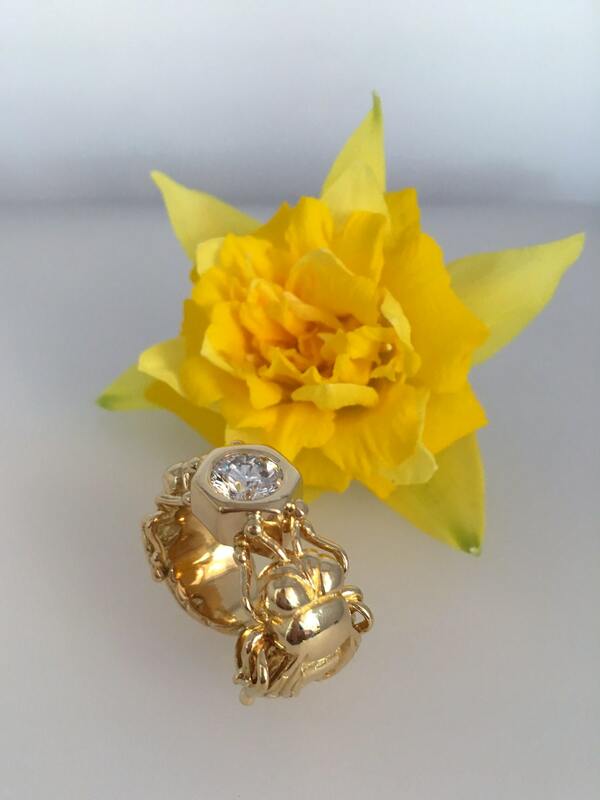 This handmade Bee Ring has been lovingly crafted by Jewellery Designer Douglas Hughes in his workshop in the heart of Cornwall. 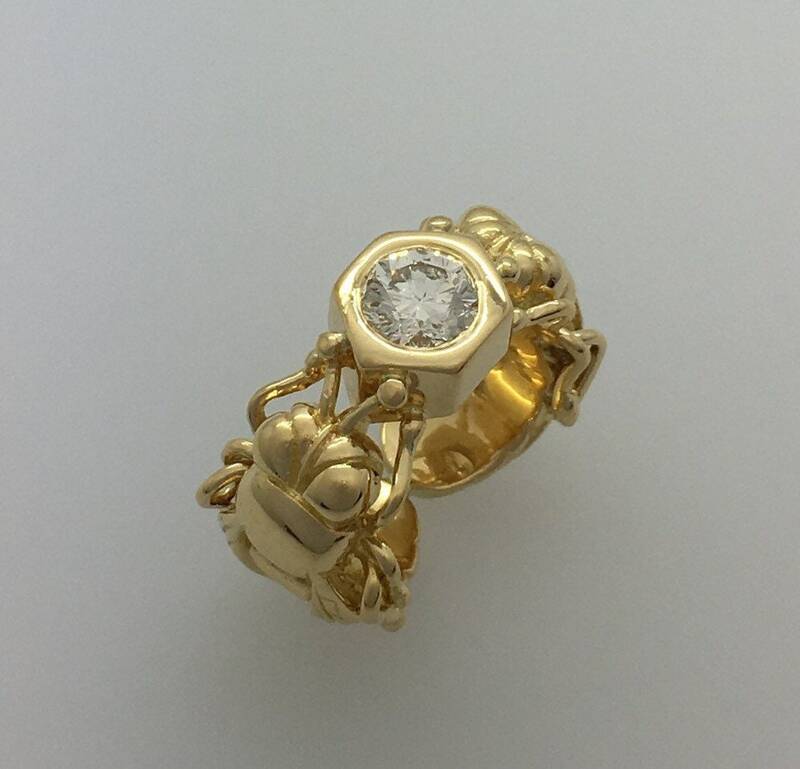 Inspired by watching and working with his own bees, this opulent ring radiates his passion for the bees and the glorious honey they produce. 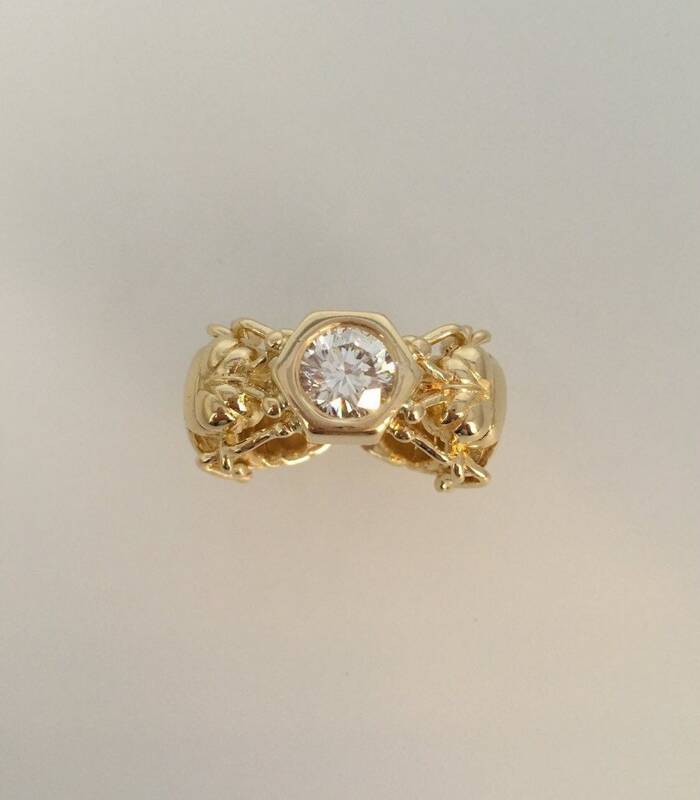 For further information about this classically designed item of Fine Art Jewellery please contact us.